Today’s competitive marketplace has made it essential for companies to not only find new ways to engage with their customers but also create those brand connections in ways that can increase sales. And what better opportunity than the holiday season upon us. 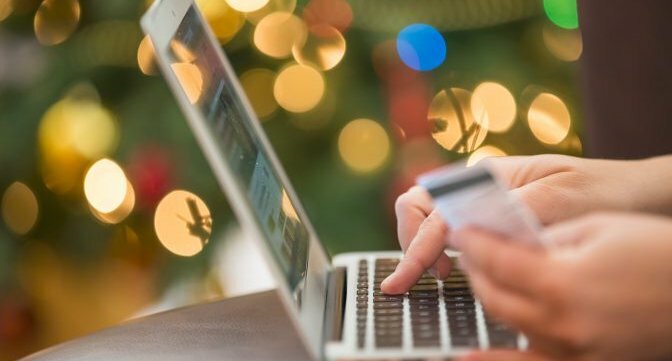 When I think about effective retail marketing strategies during the holiday season, it’s the combination of offline and online marketing touchpoints, otherwise known as omni-channel marketing. Marketers now need to provide a seamless experience, regardless of channel or device. Consumers can now engage with a company in a physical store, on an online website or mobile app, through a catalog, or through social media. One of the best examples that come to mind is Starbucks. Love or hate them, they consistently invest efforts to increase engagement either by asking fans and friends to visit its local bricks-and-mortar to tweet or upload pictures of their limited-time signature red coffee cups or by reintroducing fan-favorite beverages around the holidays. As a business owner in the retail space, you probably are already preparing a checklist to stock inventories, fulfill staffing needs, etc. But merging offline with online marketing to engage with more customers should be high on your marketing agenda this year too. Customize a brand theme for the holidays. Building a holiday branding in line with your own brand guidelines can help customers associate your brand logo, retail space, etc. with the overall festive mood. Believe it or not, it pays to have a lively atmosphere during the holidays. Offer a compelling loyalty program with holiday spirit. It is no secret that shoppers are known to loosen their purse strings during this time of the year. You need to drive your marketing strategy towards in-store holiday promotions and offers that bring in new customers and drive up sales. It’s important to stay top of mind with customers through online channels such as email and social media. However, customers also love if you provide them with unique reward programs like taking loyal customers for a day out to see Christmas lights around time – A fabulous customer appreciation idea by a local New York Café. Don’t be afraid to try something new. Created alongside their advertising agency, Duracell launched Duracell Express, an on-demand delivery service for parents that needed last-minute batteries for their children’s Christmas gifts. Families could request a last-minute visit between noon and midnight and Duracell's battery-bearers came right to their front doors. By rolling out their express Christmas service, they retained brand interest during the busy holiday window and also pushed the brand viral with clever use of hashtags that appealed to customers emotionally. Overall, the best tip I can leave you with is to find out how best to communicate with your target audience and then engage them with a holiday cheer that’s unique with your brand.